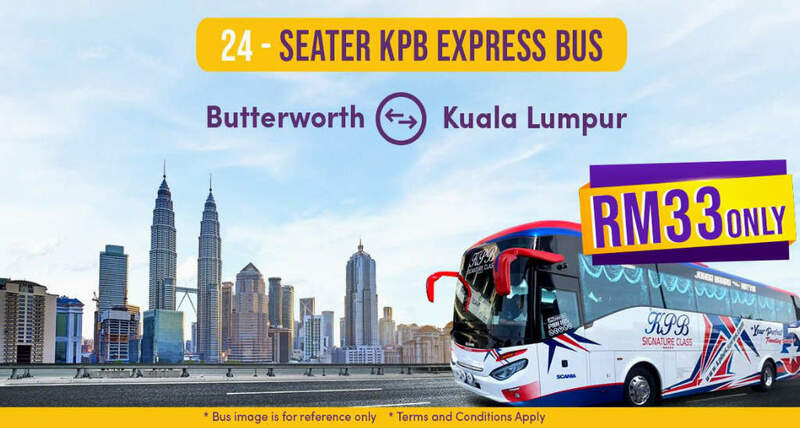 [22 Dec 2018] If you plan to take an express bus from Penang Sentral, Butterworth to Kuala Lumpur, go check out the new fleet of 24-seater coaches by KPB Express. The one-way bus ticket on the more spacious 24-seater coach costs RM33. As a comparison, the SVIP 27-seater express bus starts from RM30. To book your KPB Express bus ticket online, click Easybook.com. 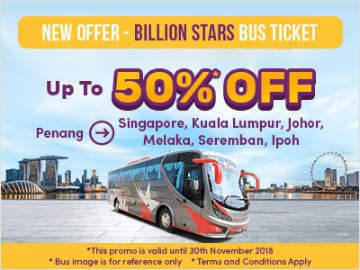 KPB Express offers long distances inter-state express bus services from Butterworth to numerous cities in Malaysia, including Kuala Lumpur, Shah Alam, Klang, Seremban, Johor Bahru, Masai, Melaka and Ipoh at reasonable and affordable price. The KPB bus fleet are equipped with air conditioning and spacious seat with ample of leg room.